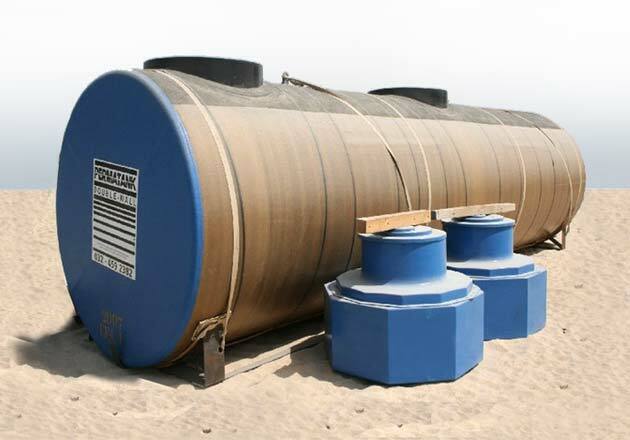 This revolutionary design for hazardous liquid storage tanks was developed in the mid-1980s by the Permatank® Corporation of the USA. It was then known as the “jacketed tank”. It pioneered a lasting solution to environmental concerns. The Permatank® is a tough-as-nails 6 mm carbon steel (355JR) primary tank enclosed within a secondary containment tank of rock-hard Fibreglass Reinforced Polyester Resin (FRP). The steel inner tank ensures structural strength and product compatibility while the FRP outer tank provides corrosion resistance and dependable secondary containment. Shipped with a factory installed Precision Test System to ensure double-wall integrity, it is designed for peace of mind. The outer tank completely isolates the primary tank from the underground environment. This coating is checked for discontinuities by a 35 000 volt holiday test over the entire surface. Once the coat has cured, a vacuum of 75 kPa is drawn on the interstice between the inner and outer tank to provide moisture-proof tightness and longevity. 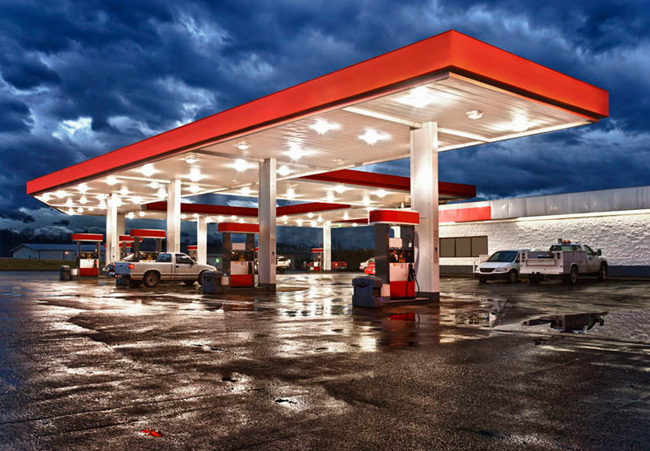 NFPA 30 standards, making it today’s most sensitive leak detection technology available. presence of both water and petroleum fuels. tion, which is a cost-efficiency. both made of stainless steel. The system is shipped on the tank, ready for field installation. It is fully adjustable and can be adapted for remote service up to 400 metres. The system is sealed for tamper-proof reading of the gauge. The capability for optional secondary monitoring is built in. The outer tank is totally seamless. It covers 100% of the exterior of the inner steel tank. 100% corrosion protection is assured, without the need for sacrificial anodes. Tank openings are flush with the top and are laminated up to the threads. This eliminates the need for dielectric fittings. The tough FRP tanks are 100 mm thick. 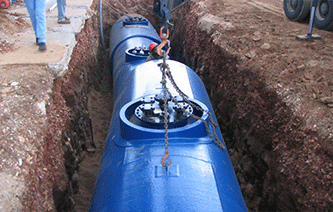 Striker plates under each tank opening provide interior corrosion protection. Zinc anodes eliminate the possibility of corrosion cells forming. No cathodic protection is required. Removable fitting lugs require zero FRP touching up or repair in the field. 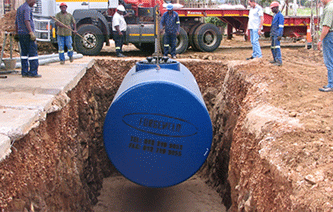 Multiple compartment tanks can be manufactured to specifications. 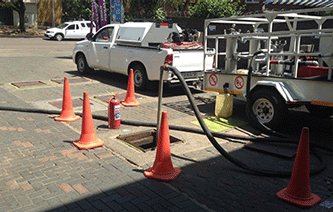 Regular inspections and tests by the SABS ensure our compliance with this standard. conforms to this specification (equivalent to Grade 43A of the applicable British Code). 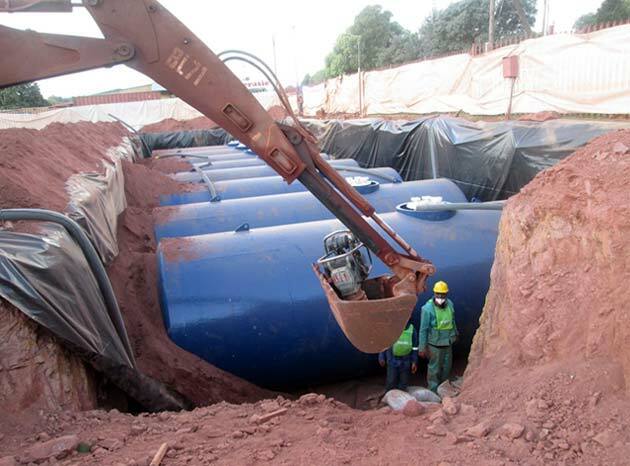 All storage tanks manufactured by Forgeweld Engineering (Pty) Ltd carries a warranty against defective materials and workmanship for a period of 24 months from the date of installation. Click here to read the full Warranty Policy. 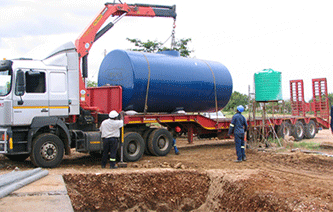 The tanks are supplied in standard sizes ranging from 5m3 to 45m3 but larger units can be manufactured on request. To order click here to contact your nearest Forgeweld office.